A golden circle tour with secret lagoon Magnus is a very kind person - he even stepped out of the car to offer to take a picture of us. We were picked up on time and told a lot of interesting stories about Iceland - how it works and its folklore, including the jokes! A very informative guide who's happy to answer questions. I hope one day we will see a new green vegan tour with emphasis on the conservation of nature and animals, and perhaps vegan lunch... read more suggestions. ATTENTION! BEFORE YOU BOOK THE TOUR PLEASE READ THIS – PRE BOOKING IS REQUIRED. 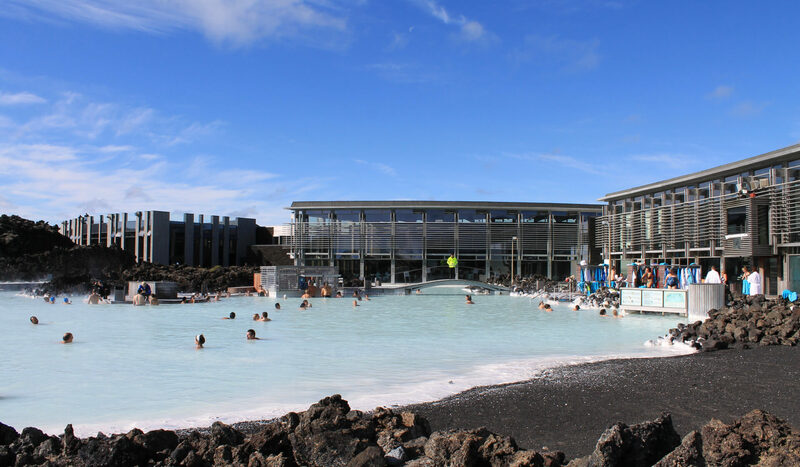 Before you book this tour please make sure that you check availability in the Blue Lagoon and make reservation for Blue Lagoon entry. Availability to the Blue Lagoon is limited and therefore all guests must complete a Blue Lagoon reservation before booking our tour below. Blue Lagoon entry should be booked at 4pm on the day of the tour or 5pm if 4pm is sold out. If you have questions regarding Blue Lagoon reservations please contact us here. 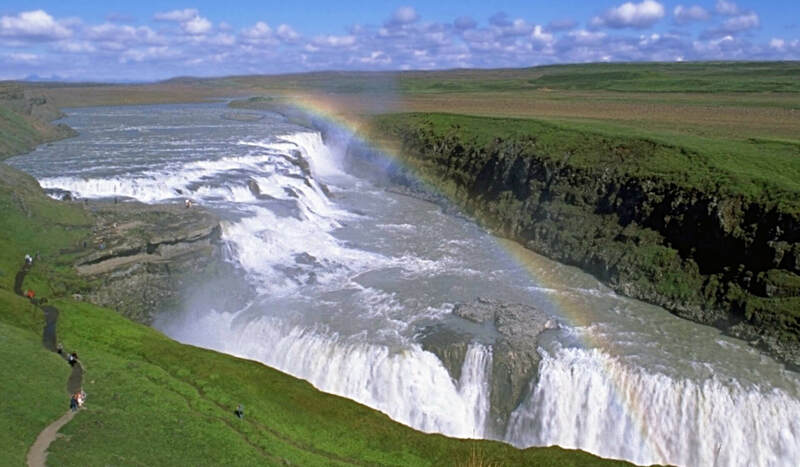 This tour will take you straight to all the interesting sights of south-west Iceland without any inconvenience and give you time to explore the natural wonders you encounter. 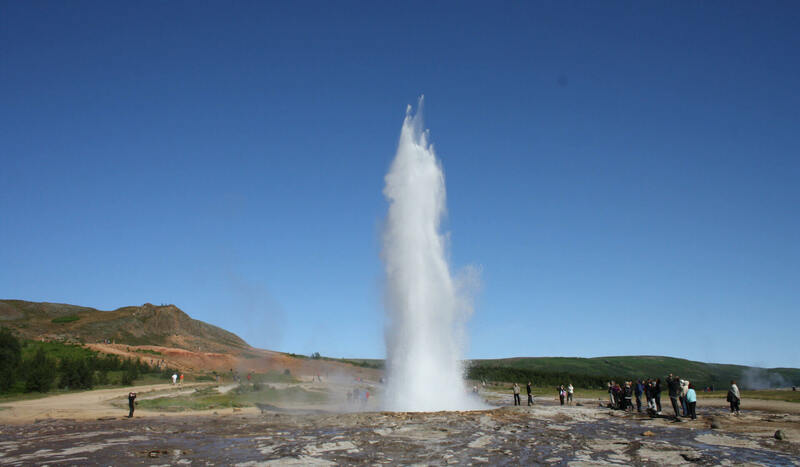 Start with the golden circle, Þingvellir National park, where you walk in the canyons, then continue onwards to Geysir hot springs and Gullfoss, the golden waterfall. 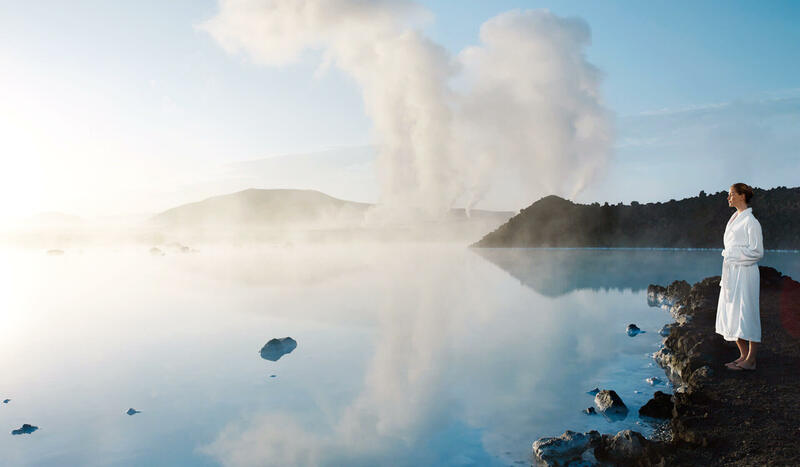 Then carry on to the coast and cruise along the new road to Krísuvík geothermal area and view the bubbling mud springs on the way to the amazing wonders of the Blue lagoon, where you can bathe leisurely in the azure – blue waters. We take the road less travelled to the Blue lagoon to ensure variety in your exploring. After two hours in the Blue Lagoon we head back to Reykjavík with the same bus. No more switching buses. Lunch break at 12 noon (not 3 pm). No detours into Reykjavík between attractions. 10% discount on this tour in February and March. Book now. Discount: 17.900 -> Only 16.100 ISK per person. All this for the incredible price of ISK 17,900 per adult passenger. Departures at 8:30am in summer and 9:00am during winter November 15th – February 15th). Pickups start 30 minutes before departure. Entrance fee to the Blue Lagoon not included but can be included if you book online or call us directly. Please note that this tour must be booked at least 3 days in advance due to availability in the lagoon. 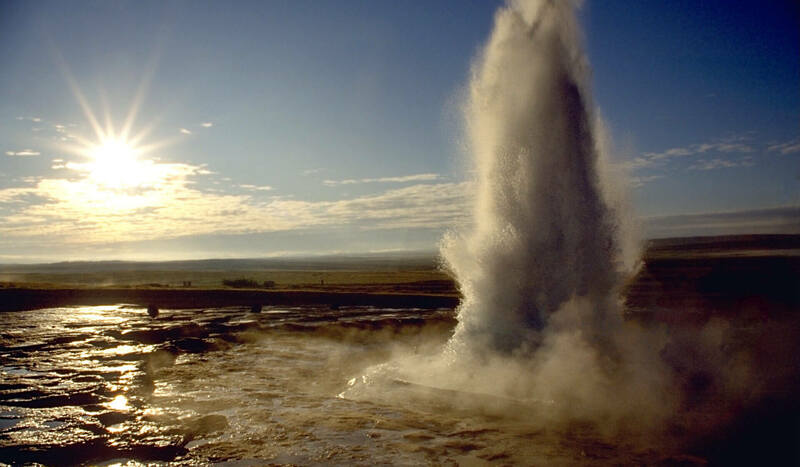 Green Energy Travel is a new eco-friendly tour operator in Iceland. 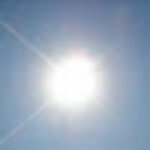 The company specializes in private guided tours in Iceland, giving its customers a personal and exciting experience for exploring the beauty and the wonders of country. © 2016 get.is. All Rights Reserved.